Rowland Thirlmere was the pen-name adopted for his literary activities by John Walker (1861-1932), a resident for many years of the Lancashire town of Bury, who in everyday life earned his living as an commercial clerk, and later an agent, for a woollen manufacturer. His choice of pen-name commemorates his birthplace, Wythburn, a small village in Cumberland (present-day Cumbria) on the eastern shore of Thirlmere, one of the notable lakes of the English Lake District. 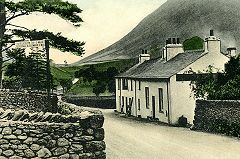 Born in 1861, his birthplace, and childhood home according to the 1871 census, was an inn (seen in the picture above) called 'Horse Head', (or Horse's Head') also known as the 'Nag's Head', run by his great-aunt Jane Hawkrigg. He lived there with his father, William, Jane's nephew. William had married Sarah Taylor in the village of Hawkshead in 1859, and John was their eldest son; Sarah died in 1865, and he married Mary Ann Carson with whom he had further children. Hartley Coleridge (1796-1849) - son of famed poet Samuel Taylor Coleridge - and Thomas de Quincey (1785-1859) were poets and writers of some repute, among many who would have paused or stayed at the Nag's Head on journeys between Grasmere and Keswick in the footsteps of William and Dorothy Wordsworth. Perhaps they left copies of their books, and the young John Walker read them while attending the little village school opposite the inn. Matthew Arnold (1822-1888) also visited Wythburn and mentioned its 'Wayside Inn' in his 1849 poem 'Resignation'. Following Jane Hawkrigg's death John's father William took on the licence of the Inn, only to die tragically in 1872, drowned in a swollen stream. After William's death his widow Mary Ann left Wythburn with her children to live in the town of Cockermouth. Her young stepson John left home to make his own way in the world, and the 1881 census shows him, aged 19, in the Lancashire mill town of Bury staying with the family of his mother's brother John Taylor. We cannot locate any record of further education he may have received in Bury, but would suspect that as a writer and poet he was self-taught, on the basis of his own reading and what he learned at Wythburn schoolroom from his father's friend the Reverend Basil Lawson. 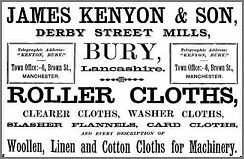 His employers in Bury were James Kenyon and Son, who owned two mills in the area, and had an office in Manchester at 4 Brown Street. It was a long-established family firm which could trace its history back to the seventeenth century. Weaving of woollen cloths and felts for use elsewhere in industry was the firm's principal business; it was eventually sold in 1968 to an American firm, Albany International, who closed the old premises and built a new mill on the outskirts of Bury, specialising in felts used in paper-making, still in business in 2017. Hudcar House, home of John Walker, in 2016. Still standing, but much altered and in use as offices. Mont St. Michel, and and Other Poems. Elkin Matthews, 1908. My Dog Blanco, and Other Poems. MacDonald, 1916. Polyclitus, and Other Poems. 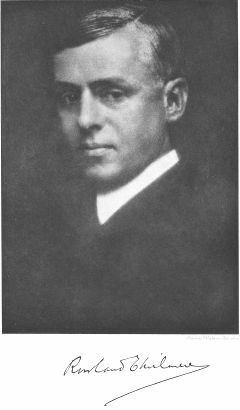 Elkin Matthews, 1916. Diogenes at Athens, and Other Poems. Selwyn and Blount, 1918. New Poems. Selwyn and Blount, 1921. Alpine Lyrics. Shakespeare Head Press, 1926. Panorama. Shakespeare Head Press, 1930. Collected Poems. Shakespeare Head Press, 1934. Includes some poems not previously published. With few exceptions, the pieces contained in this volume are now printed for the first time. Gassed ' appeared in the second part of the 'Treasury of War Poetry,' edited by Professor Clarke; a book which was published by the Houghton Mifflin Company in America and subsequently by Messrs. Hodder & Stoughton in London. 'The Morrow of the Banquet' was printed some time ago in The Poetry Review. 'Man and Beast,' 'Un-natural Shame,' 'Nemesis' and 'Tragedy' are all parts of a long - and now condensed and amended - poem which was issued, in pamphlet form, by my present publishers last year. 'Two Lovers', 'A Glow-Worm' and 'The Squire's Son' were included in the anthology entitled 'Twelve Poets,' produced by Messrs. Selwyn & Blount in 1918. The Clash of Empires. Heinemann, 1907. Wythburn, the birthplace of John Walker, has seen great changes since his day. In the 1890s, much of the valley was flooded to create Thirlmere Reservoir, first proposed in 1874 as a source of water for the city of Manchester. Many residents and farmers had to leave, although the Inn, Church and School survived near the eastern shore of the lake. The reservoir began to supply water to the city in 1894, via the 'Thirlmere Aqueduct' which runs, mostly in tunnel, and purely by gravity for 95.9 miles to reservoirs on the outskirts of Manchester. The fountain in Albert Square, completed in 1897, with bronze decorations by John Cassidy, celebrates both the completion Thirlmere project and the diamond jubilee of Queen Victoria. The Nag's Head inn, John Walker's childhood home, continued in business until 1930. It was later used as accommodation for reservoir workers until 1966 when it was demolished. The village school closed in 1936 and was pulled down in 1960; Wythburn church - built in 1640 and restored in 1872 - survives, maintained in good condition and used for occasional services. Much more information is in the excellent booklet Wythburn Church and the Valley of Thirlmere by Geoffrey Darrall published in 2006. 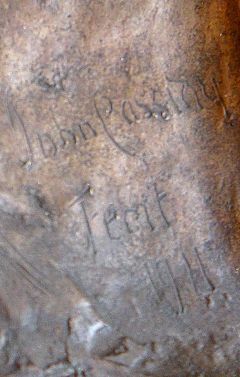 The signature on the Manchester medallion: John Cassidy Fecit 1911. This bronze medallion portrait, signed and dated 1911, approximately 30 x 24 cm in size, came to our attention in a rather unusual manner. In 2010 I was researching the memorial plaque to Leslie Stuart which was said to have been presented to the Henry Watson Music Library, one of the departments of Manchester Central Library. 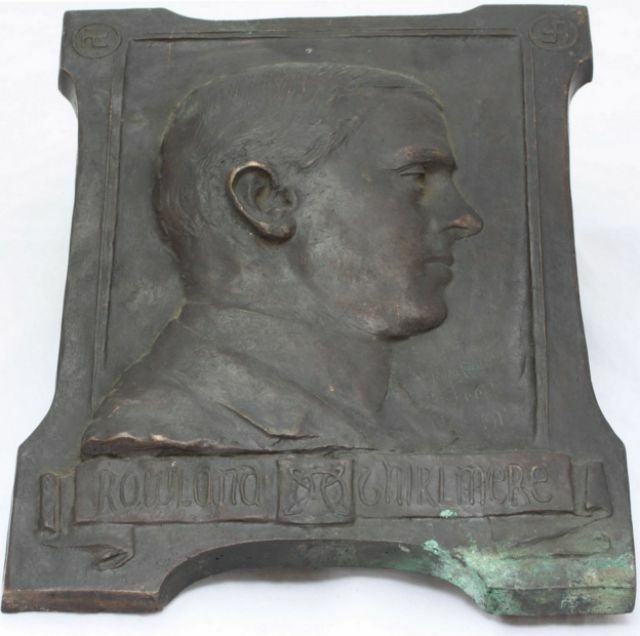 We contacted the Music Librarian, Ros Edwards, who said she had no knowledge of that work, but in her office there was a John Cassidy bronze of Rowland Thirlmere, which she though may have been left there when the office was shared with the Language and Literature Library staff. Ms Edwards very kindly agreed to allow me to see and photograph it, with the results shown here. I had never heard of 'Rowland Thirlmere', nor indeed of John Walker - a little research showed that was his real name. I saved the photographs on in my 'Cassidy' folder, recorded the existence of the work on the website 'works' page, and added the writing of a feature article to my (overlong) 'to do' list. Meanwhile, the Library building underwent a complete interior refurbishment, and the medallion was labelled, recorded and stored safely away in the basement of the Town Hall. where it remains. How the work made its way to the Music Library is a mystery; it is attached to what seems to be a section of oak wall panelling. One might speculate that it was denied a public display when the symbols in the top corners took on a sinister meaning which had not been the case in 1911 when it was made. The first Free Library building in Manchester was opened in 1852, housed in a building known as the 'Hall of Science' on the corner of Liverpool Road and Deansgate. In 1877 it was relocated to the former Town Hall on King Street, and in 1912 moved again to a single-storey building in Piccadilly Gardens which had previously been the Accident and Outpatients department of the Infirmary. It is possible that this latter building, which was scheduled for demolition after the current Central Library opened in the 1930s, was the first home of the Thirlmere plaque; cutting out a section of panelling to save it might have been acceptable under the circumstances. Alternatively, it may possibly have come from 94 Mosley Street, headquarters of the Brasenose Club, of which Thirlmere was a prominent member. The block including No.94 was pulled down sometime around 1980. Seven years later, in 2017, Mr Thirlmere came to my attention again when I received an email from a correspondent Steve Parlanti, a member of a long-standing family of bronze founders who had carried out the casting of some of Cassidy's works. 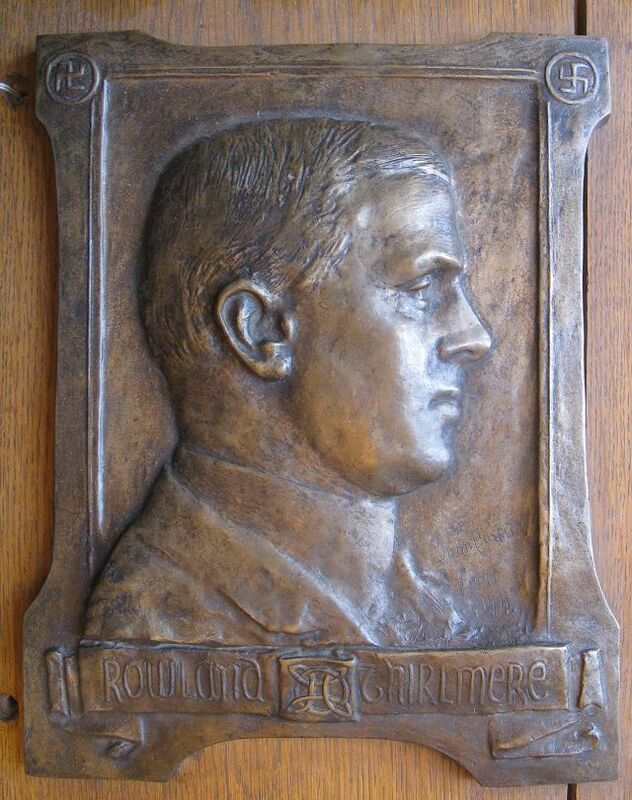 Steve told me that a portrait medallion of Rowland Thirlmere was included in an auction to be held in Southsea by Nesbits on 12 April 2017, and there was photograph online, which we reproduce above. It was listed in the auction catalogue between a job lot of 1950s toys and a collection of 'Doctor Who' figurines, and - rather surprisingly - sold for £10 above the Auctioneer's estimate. It would be very interesting indeed to hear from the new owner. Steve and I both thought that the casting of two copies of such a work was unlikely, and wondered if the plaque had somehow been discarded or stolen during the removal of the Library contents. Happily, however, Council staff investigated and were able to reassure us that it is still safely in storage in the Town Hall, complete with wooden backing. The auction copy has not been well-treated; it has a generally neglected appearance, and there is oxidation of the bronze visible in the corner. So, there are two copies of a bronze portrait of a largely-forgotten Manchester figure; neither copy has any provenance attached. In this feature we look into the history of the subject and his life and times, and attempt to solve the mystery. 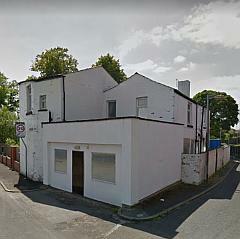 John Walker must have had a taste for historic buildings: the 1891 Census has him living in part of Chamber Hall, Bury, an old building with attached cottages famous as the home of the Peel family, including Robert Peel who was born there in 1788 and went on to serve two terms as Prime Minister. At that time he was listed as 'commercial traveller (woollen)'; unlike some other men portrayed by Cassidy he was never the owner of a factory, or the holder of any public office. He remained an employee throughout his career, no doubt viewing his job as a simply a way to finance his beloved literary activities. In 1888 he joined the Manchester Literary Club, and by 1894 was giving his address as 8 York Terrace, Bury, which seems to refer to a small early 19th-century terraced house on Wash Lane, not far from the town centre. By 1899 he was in his final home in Bury, Hudcar House on Hudcar Lane, which still exists in a much-modified form, and may have been the home of Thomas Haslam, owner of the adjacent Hudcar Mill, built in 1824 and demolished in 1977. The 1901 census lists him in a London boarding house: perhaps a business trip. 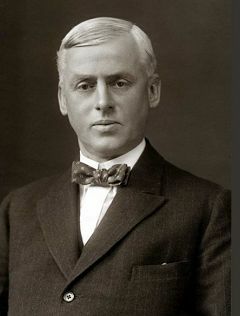 Rowland Thirlmere, otherwise Mr. John Walker, is the author of some notable travel books concerning Spain, and also a volume of poems, 'A Woman of Emotions and other Poems.' His Club contributions have been chiefly poetical, and his path in poetry leads sometimes into regions of stern heights and solemn depths, but there are many places where the sun warms the blood, where bright eyes sparkle, and the lyrical spirit is abroad. The piece mentioned in the title of this volume opens as if it were going to be a song-cycle, in which a woman gives a new expression to changing moods and outbursts of that old passion which is the most frequent theme of poetry. But the merely lyrical interest stiffens up as the work goes on, and before the end is reaches, the piece moves in blank verse, like a metrical novel of love, jealousy and murder. Then there are some songs in celebration of the men who have fallen in South Africa, some pieces which reflect their writer's peculiar knowledge of the scenery of Northern Spain, and some other pieces, some of them inspired by the sadder aspects of nature. The work, without ever rising quite to the height at which rhymed rhetoric becomes poetry proper, is invariably interesting, often touching, and always graceful and musical in expression; and the book will be read with pleasure by any lover of poetry who takes it up. 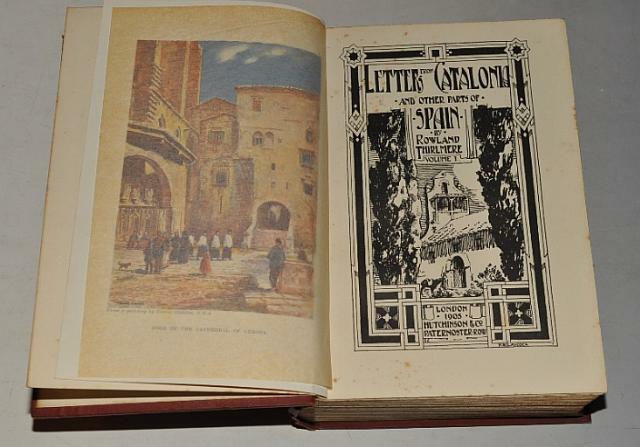 In 1905 he returned to Spanish travel with Letters from Catalonia and other parts of Spain, a two-volume 800-page follow-up to Idylls of Spain, enhanced by many illustrations by 'well-known artists'. The colour frontispiece and many of the other illustrations were by Trevor Haddon (1864-1941). Around the same time, he seems to have become obsessed with the threat to Britain and its Empire posed by Germany's imperial ambitions, and expressed his fears in a 309-page polemic published in 1907 by Heinemann as The Clash of Empires. His fears soon proved largely correct, of course, but the book was ridiculed in the press for its exaggerated suggestion that German waiters in British restaurants were all spies, and that visiting German students were busy making detailed maps for use in an invasion. Few took any notice of the views of an obscure Northern poet, although a translation was issued in Germany and seems to have been taken seriously there. Thirlmere was not alone in this sort of writing, there were many novels and non-fiction works on the same theme at that period, notably The Invasion of 1910 by William Le Queux, which was serialised in the Daily Mail and issued as a book in 1906, selling a million copies. Thirlmere's book fared less well. After 1907, although he penned a number of letters on political subjects in newspapers, he confined his book output to poetry; seven other titles appeared between 1908 and 1930. The poems cover many different styles and topics, from amusing verses in Lake District dialect to war poetry and a long work in the for of a play set in ancient Greece, Diogenes at Athens. Perhaps most accessible today are the poems inspired by nature, many inspired by his rural upbringing, which can perhaps be compared with those of Wordsworth. The 1911 census record for Hudcar House is interesting, as it reveals a somewhat unconventional lifestyle. He lists himself (the 1911 census was the first one where householders completed their own details) as single, aged 49, and also in the house that night were a visitor, namely Harriet Althea Salt, aged 49, single, born in Wem, Shropshire and a 'temporary servant' Percy James Fogg, age 23, 'Insurance agent but out of employment', born in Walkden, Lancashire. Percy Fogg was the youngest son of Thomas Edward Fogg, a provision merchant's assistant; Percy was listed back in 1901 as 'cotton cop packer's assistant'. Cops are the product of a cotton spinning mill: a cop is a bobbin on which the spun yarn is wound for delivery to the looms in the weaving process. The census tells us that in April 1911 Caroline Louisa Etches was living alone, aged 36, in St Mildred's Court, Sea Road, Westgate-on-Sea (a small seaside town near Margate), a single 'gentlewoman with private means' - alone, except for three live-in servants, a cook, parlourmaid and sewing maid. A Mrs Huddlestone is mentioned on the other page of the form, however, maybe she was ill.
Westgate has poetic claim to fame as the subject of a 1930s poem by John Betjeman, but it's not clear how Caroline met John Walker years earlier; could she have been a fan of his poetry? Edward Etches died at Derby in 1882 and [his wife] Louisa remarried to retired army officer [Colonel] Thomas Huddlestone (again a man almost two decades her senior) at St Georges. Hanover Sq (London) in 1890. By April 1891 they were living at 'The Cedars', Whitaker Rd, New Normanton - no sign of Louisa's children in the house, so perhaps they had been shipped off to boarding school. By 1901 they had moved to Westgate-on-Sea in Kent, and her daughter Caroline was back at home. Louisa died at Richmond, Surrey in 1931. St Margaret's Court, Westgate-on-Sea, which still exists in 2017, is a large house (more recently divided into flats) in what is now called Beach Road. In 1901 Thomas and Caroline's mother were living there with Caroline and three house servants, plus a gardener and his wife. A descendant of Edward Etches who responded to the above blog post tells us that Caroline was an artist, and that some of her work survives. After his wedding John Walker 'gradually retired from business' according to one biography. The couple left Bury and the Clubs of Manchester; his name is not listed as a member of the Literary Club after 1911, and surviving records of the Brasenose Club show that from December 1912 his membership was transferred to the 'country member' list with a lower subscription. It seems that the couple lived in the London area, but their initial home address has so far eluded us: to the Brasenose Club he gave his address as the Authors' Club, 2 Whitehall Court, London S.W, an address which during World War I was shared with the Special Intelligence Service. By the time of John's death the couple were to be found in the leafy Surrey village of Hindhead - the highest village in the county, which lies by the old road from London to Portsmouth. Although in Surrey, Hindhead is close to the border with Hampshire, and not too far from Portsmouth: perhaps this is a clue to the reason why the auctioned medallion was sold in that city. John Walker continued to publish poetry and other writings under the Thirlmere nom-de-plume until not long before he died on 3 July 1932, in the London Clinic Hospital, Devonshire Place, Marylebone. He must have been one of that hospital's first patients, as the hospital opened that year. He is buried in the parish churchyard (Section 4, grave No.89A) at the nearby town of Haslemere. Executors of his will were his widow Caroline Louisa Walker, and his niece Adeline Scales Thompson (née Walker) who was a daughter of John's brother Tom. His widow Caroline Louisa Walker was by 1939 sharing a house with her sister, Mary Spearman and a live-in cook in Greyshott, Hampshire, a short distance from Hindhead. She died in an isolation hospital in Truro, in 1943; her probate record gives her address as Nansidwell, Mawnan, Cornwall and values her estate at the remarkable sum of £54627 0s 8d. At his home in Bury many evenings of poetry, music, good fellowship and good fare were enjoyed by his guests. He was fond of dancing, fun and frolic, and was very popular with his friends while children and animals quickly came to love him. In London he joined the Authors' and the Constitutional Clubs, and he was also a member of Almacks. The last sentence seems to confirm that he had latterly lived in the London area. And lilies white and red. Changing their grey to blue. In towns akin to hell. Written by Charlie Hulme 2017.